Lake Apoyo, Nicaragua, is home to several endemic fish species of the genus Amphilophus, members of the so-called Midas cichlid species complex, as is Lake Xiloa. Evolution may have affected the fish in these two lakes differently, however, particularly because those from Lake Xiloa evolved in the presence of an important predator of cichlid fry, the bigmouth sleeper (Gobiomorus dormitor), whereas this predator was not present in Lake Apoyo during the two hundred or so centuries during which the several species of Lake Apoyo took form. 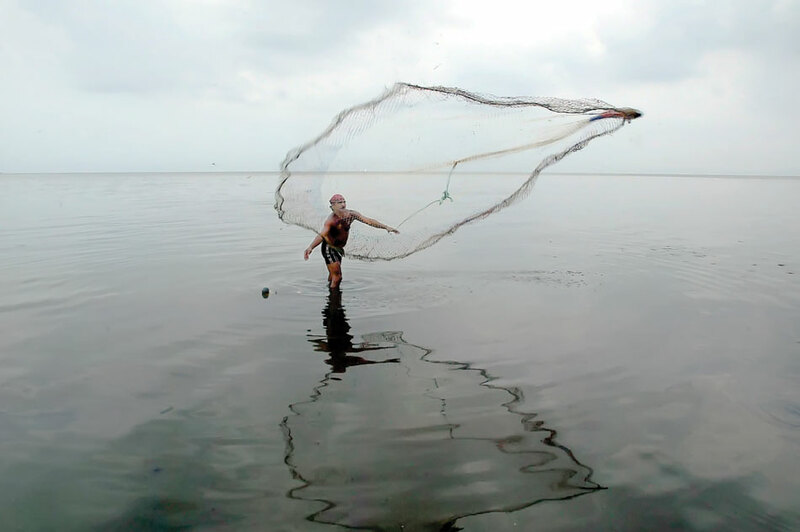 The bigmouth sleeper was introduced into Lake Apoyo in 1991, by an individual with great plans for fishing and a bucket full of the sleepers just caught in a nearby lake. In a collaboration between the University of Turku, Finland, the University of Konstanz, Germany, and FUNDECI/GAIA, we compared the responses of two ecologically similar Amphilophus cichlids in the two lakes. 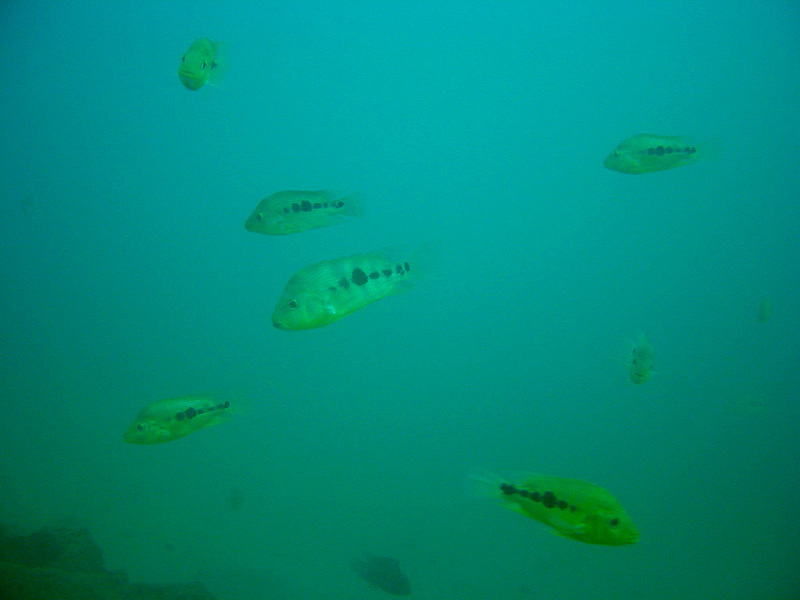 The defensive responses to predators of arrow cichlid, Amphilophus zaliosus, in Lake Apoyo were compared to that of Amphilophus sagittae in Lake Xiloa. The arrow cichlid demonstrated evolutionary naivete, allowing this dangerous predator of fry to reach closer to its nest than its counterpart in Lake Xiloa. The results were just published by Topi Lehtonen, Jeffrey McCrary, and Axel Meyer, in January 2012 in PLoS One, a journal of cutting-edge biological science research. These results are of vast importance, because the arrow cichlid is now officially an endangered species. It is listed by the IUCN as Critically Endangered. Its population is extraordinarily small, its habitat limited to Lake Apoyo, and its threats now include an exotic predator. Our monitoring of this fish, and its fellow Midas cichlid species, is more important than ever. In the context of Lake Apoyo, the bigmouth sleeper is an invasive species with dangerous qualities.
" 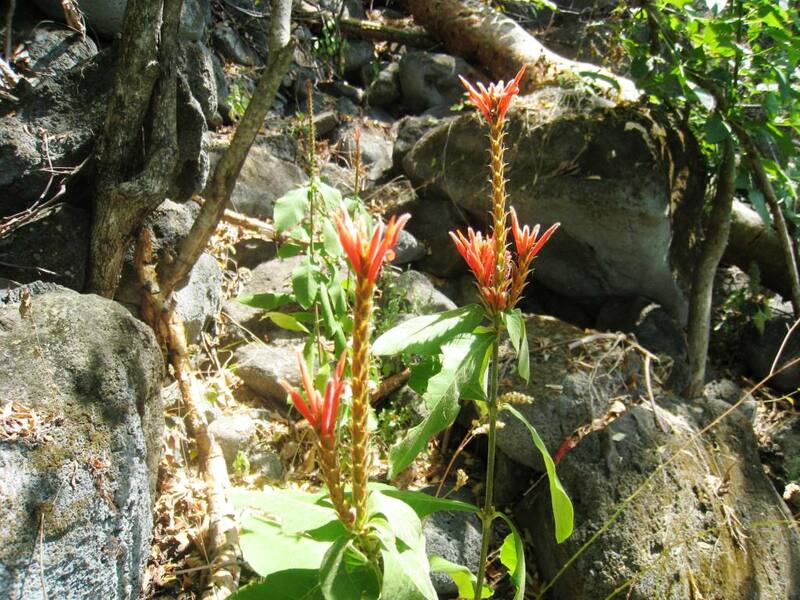 Introduced species represent one of the most serious global threats to biodiversity. In this field-based study, we assessed behavioural responses of brood tending cichlid fish to an invasive predator of their offspring. 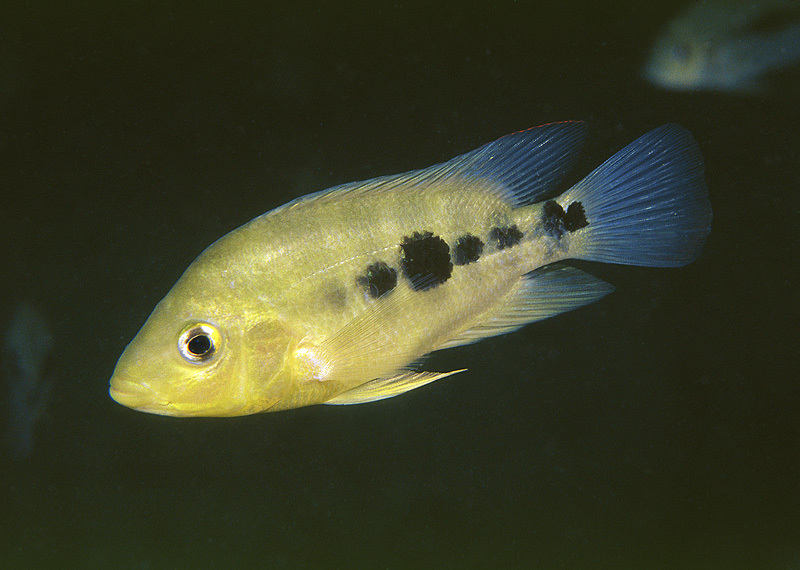 This was achieved by comparing parental defence responses of the endangered arrow cichlid (Amphilophus zaliosus), a fish species endemic to the crater lake Apoyo in Nicaragua, towards the bigmouth sleeper (Gobiomorus dormitor), a formidable predator of cichlid fry, and all other potential fish predators of offspring. The bigmouth sleeper was recently introduced into Apoyo but naturally co-exists with cichlids in a few other Nicaraguan lakes. 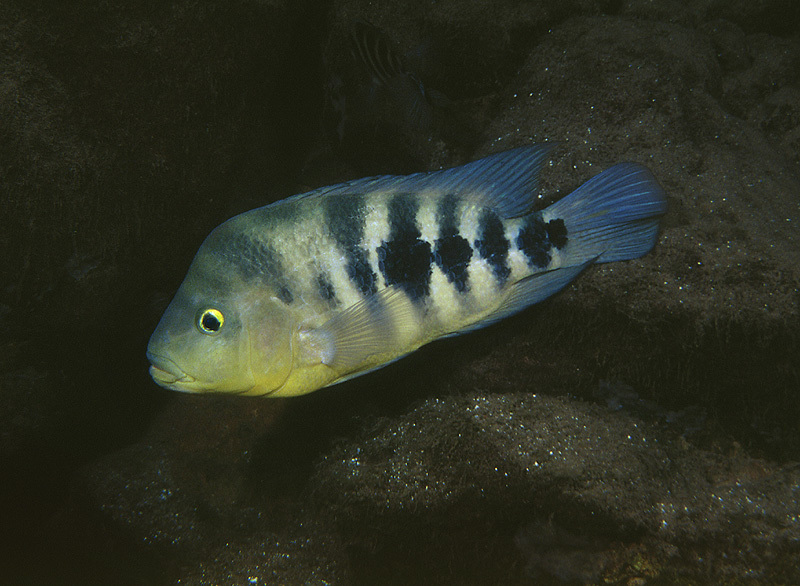 Arrow cichlid parents allowed bigmouth sleepers to advance much closer to their fry than other predators before initiating aggressive brood defence behaviours. Interestingly, parents of a very closely related species, A. sagittae, which has coevolved with bigmouth sleepers in crater lake Xiloa´, reacted to approaching bigmouth sleepers at comparable distances as to other predators of cichlid fry. These results provide a novel demonstration of the specific mechanism (i.e. naive parental behaviour) by which invasive predators may negatively affect species that lack the adequate behavioural repertoire." If you are interested in seeing the arrow cichlid up close and personal, go scuba diving with us. 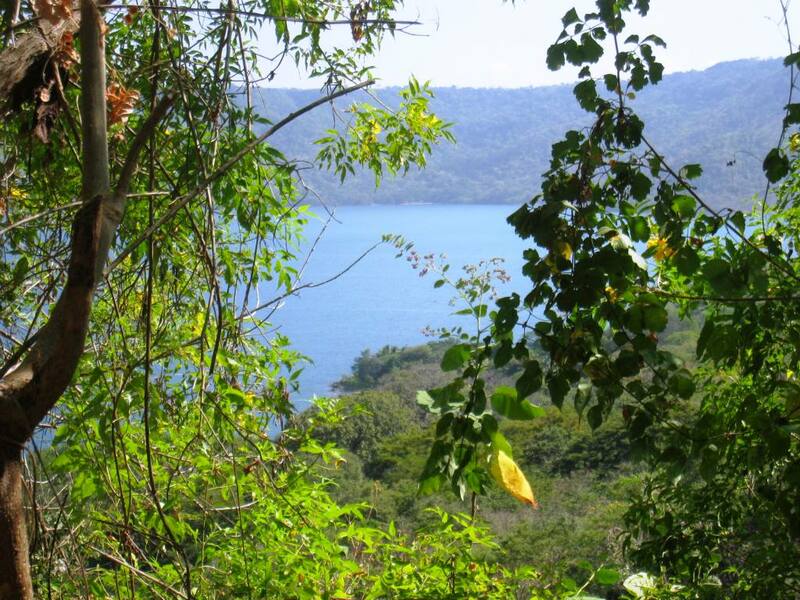 We monitor the fish populations of Laguna de Apoyo and certified open-water divers can join us in a monitoring dive. Simple checkerspot, Chlosyne hippodrome, dorsal view. Photo by Aura Cruz. Simple checkerspot, Chlosyne hippodrome, ventral view. Photo by Aura Cruz. 1. To determine which butterflies in this group are present in the area. 2. To determine the seasonal characteristics of each member of the group present. 3. To compare the communities in different parts of the reserve according to the forest structure and land use patterns. We are using the brushfoot butterflies as a model system to evaluate the environmental impact of constructions and of deforestation on the local fauna diversity. We have a simple, quantitative method for field work which involves traps with rotten fruit bait. We count and classify butterflies which enter the traps, and then release them without harm. Would you like to help us monitor butterfly populations? Please contact us for more information. We are seeking volunteers and interns to perform the field work and analyze the data. Pictured are some of the species which commonly enter our traps in Laguna de Apoyo Nature Reserve. Giant owl butterfly, Caligo memnon, dorsal view. . Photo by Aura Cruz. Giant owl butterfly, Caligo memnon, ventral view. Photo by Aura Cruz. Guatemalan cracker, Hamadryas guatemalena, dorsal view. Photo by Aura Cruz. Guatemalan cracker, Hamadryas guatemalena, ventral view. Photo by Aura Cruz. Mangrove buckeye, Junonia evarete, dorsal view. Photo by Aura Cruz. Mangrove buckeye, Junonia evarete, ventral view. Photo by Aura Cruz. 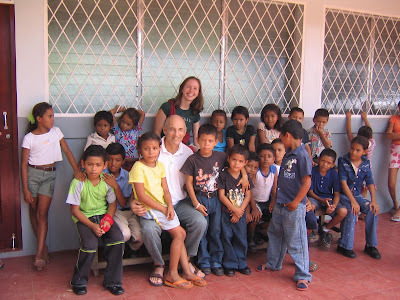 One of our students at Apoyo Spanish School, Douglas Haynes, writes professionally and is a professor of journalism at the University of Wisconsin-Oshkosh, and one of his themes is life in Nicaragua. Our staff helped provide information and sources with this article he wrote about the grim fate of Lake Xolotlan, also called Lake Managua. "The Lake at the Bottom of the Bottom" appeared in the Virginia Quarterly Review. The pollution of Lake Xolotlan is severe, but the poor people living in its vicinity have no choice but to use it. Haynes discusses the lake, its people, and an intent to remediate the levels of contaminants in it. Agricultural and municipal runoff affect it as well as chemical contaminants such as mercury. What could have been a tourist attraction, is an environmental disaster. So much wonderful water, wasted! Not all is lost. Mother earth has her healing ways. Xolotlan is far from dead-in fact, it is teeming with life. In fact, four bird species in Nicaragua were first reported along the shores of Xolotlan (Black-bellied Whistling-Duck, Long-billed Dowitcher, Wilson's Plover, and Baird's Sandpiper), in 2008. Apoyo Spanish School is the oldest existing Spanish School in Nicaragua. It is where we met the author of this article, Douglas Haynes. If you would like Spanish instruction from a professionally-run school, please contact us. 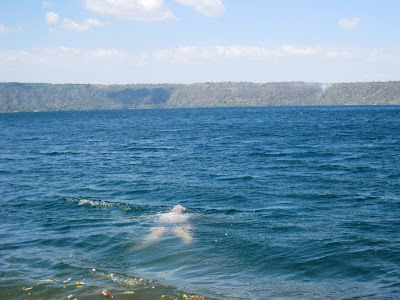 Laguna de Apoyo as seen through the lens of Leigh Baker, a student of Apoyo Spanish School at Estacion Biologica. Our Spanish students enjoy the best views in Nicaragua! 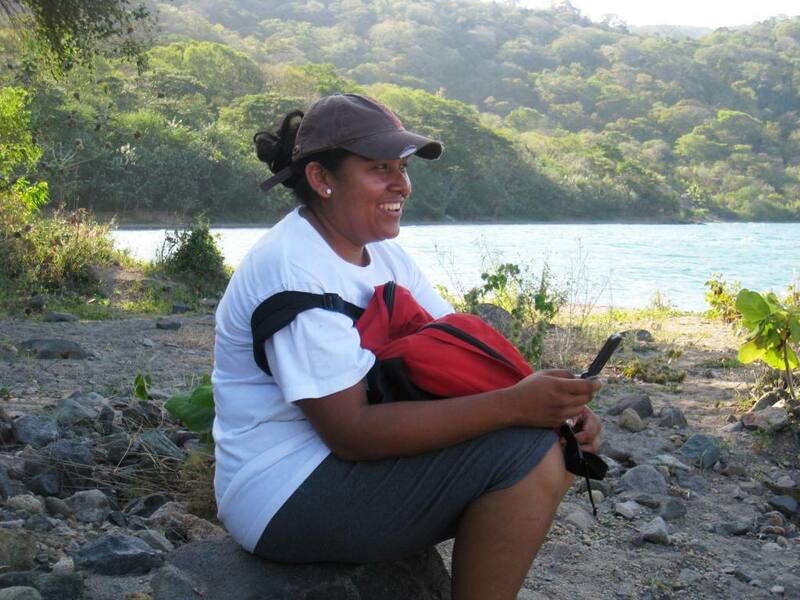 Leslie is a biology student at a university in Nicaragua and one of our teachers in Apoyo Spanish School. Studying Spanish at Apoyo Spanish School is not only about learning the grammar and vocabulary. Our teachers provide precise and demanding instruction with vigorous methods to engages the students, but they also teach about Nicaragua, the area, the forest and people, and other cultural issues. 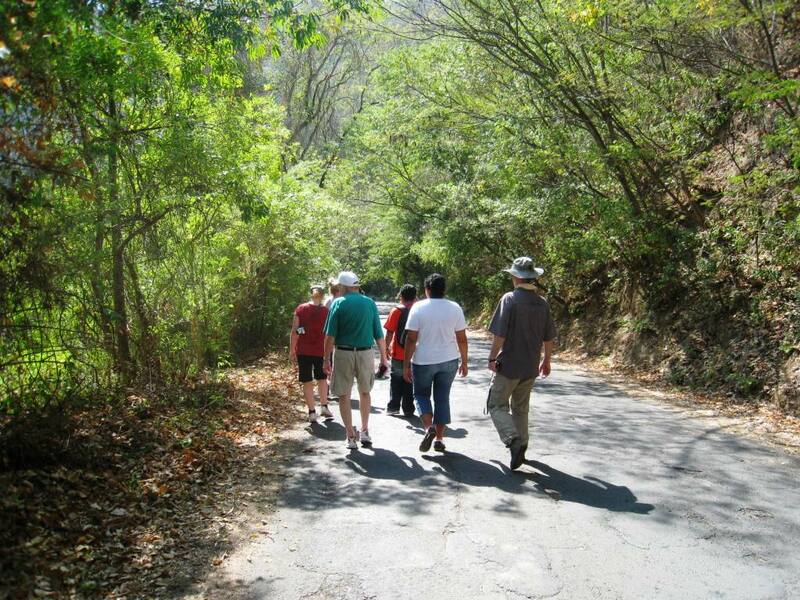 One of the best parts of a time at Apoyo Spanish School is the time spent in the forest, or in the lake. 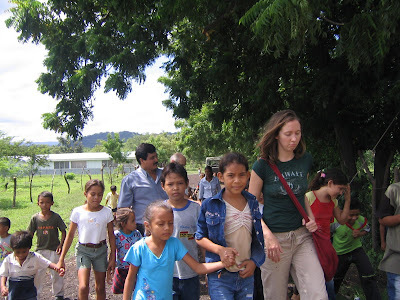 Students of Apoyo Spanish School on an afternoon excursion with their teachers. Most lakes around the world are already polluted and buildings have destroyed the natural environment around them. Building in this area is prohibited, and many other restrictions on activities are in place, which means the views can be excellent in almost any direction through a clearing. 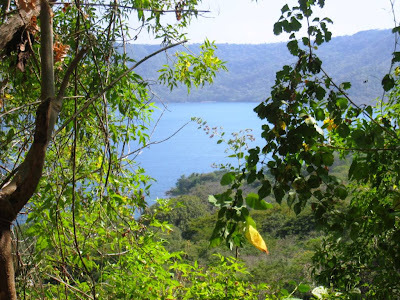 Lake Apoyo is beautiful from a distance, too! 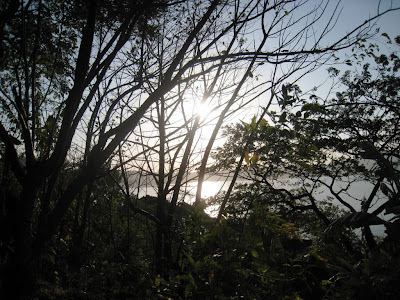 The sun rises from Granada over Lake Apoyo at dawn. Ficus trees can take root even on tops of large rocks. Basalt rocks are everywhere, and layers of pumice are also found in the crater. During the dry season, leaf litter covers the ground and protects the life in it, holding in precious water until the first rains in May. Leigh joins a local family on washing day in Lake Apoyo. 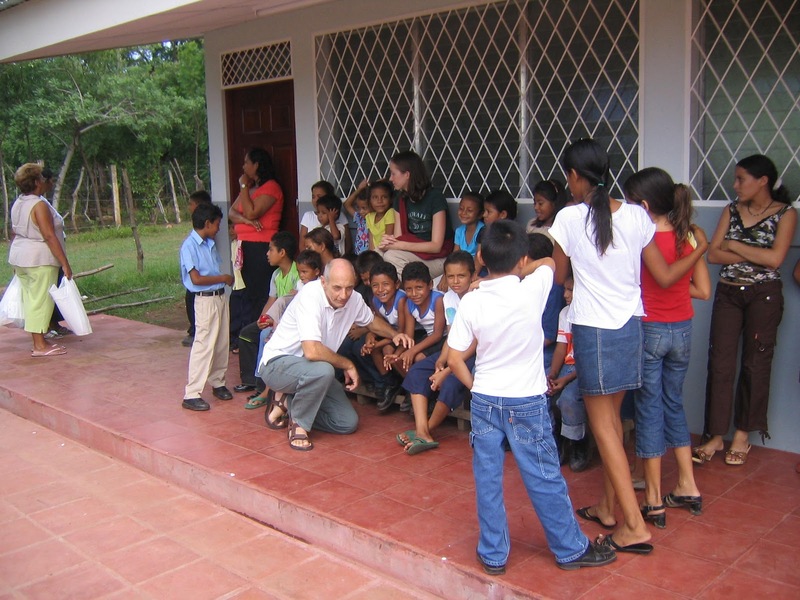 Binoculars are recommended equipment for a visit to Apoyo Spanish School. 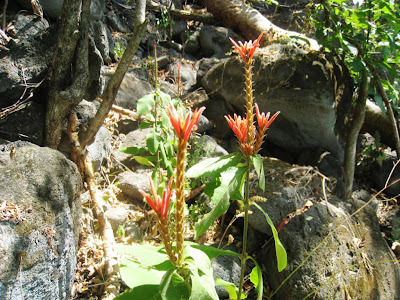 The flowers of Aphelandra scabra are visited frequently by hummingbirds. The red, peeling bark of a Bursera simaruba tree suggests the local name, Indio Desnudo. 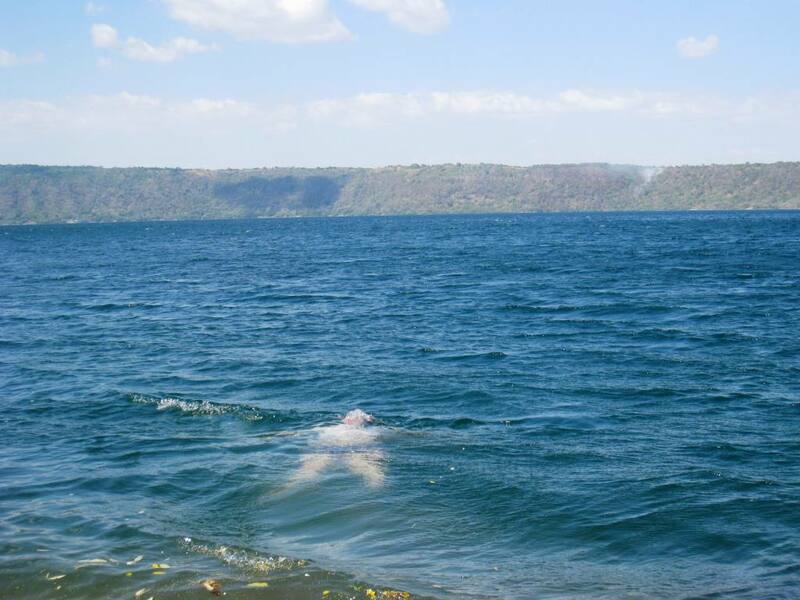 The water of Lake Apoyo is transparent. 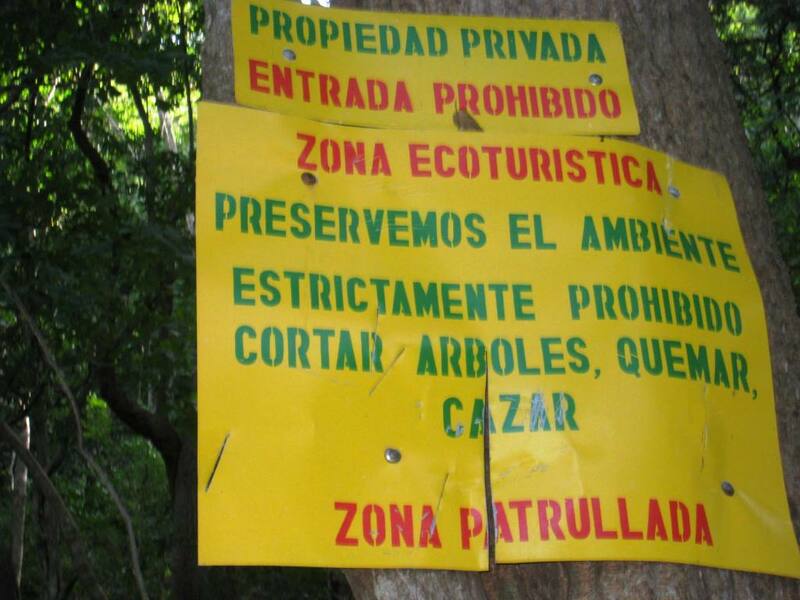 The project behind these signs, supposedly for "ecotourism", were fined for serious environmental violations. Not everyone has the same ideas about ecotourism and real estate. 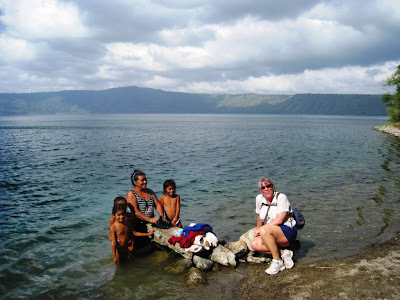 Lake Apoyo and the Apoyo Spanish School are located inside the Apoyo volcanic crater, which is actually a gaping hole in the earth, six kilometers across and several hundred meters deep. The lake is surrounded by the slopes of the crater interior on all sides, along which several houses have been built over the years. There are small patches of agriculture along the slopes, as well, and lots of natural forest. The most well-preserved of the natural forest is on the south-west side of the lake. One can enjoy the forest by hiking or sitting and meditating, swimming, or birdwatching. Monkeys are easy to find in the trees in most parts of the reserve. Studying Spanish at Apoyo Spanish School is about Spanish, but it is also about more: nature, local people, water, and causes. And plenty of natural beauty around. 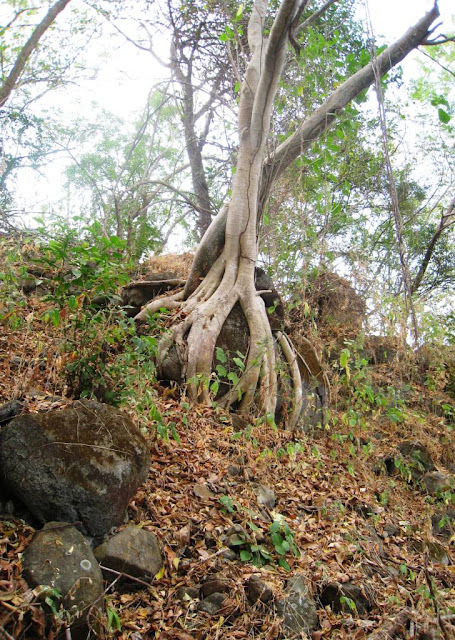 What do you see when you visit Laguna de Apoyo Nature Reserve? Let us know, we are interested. 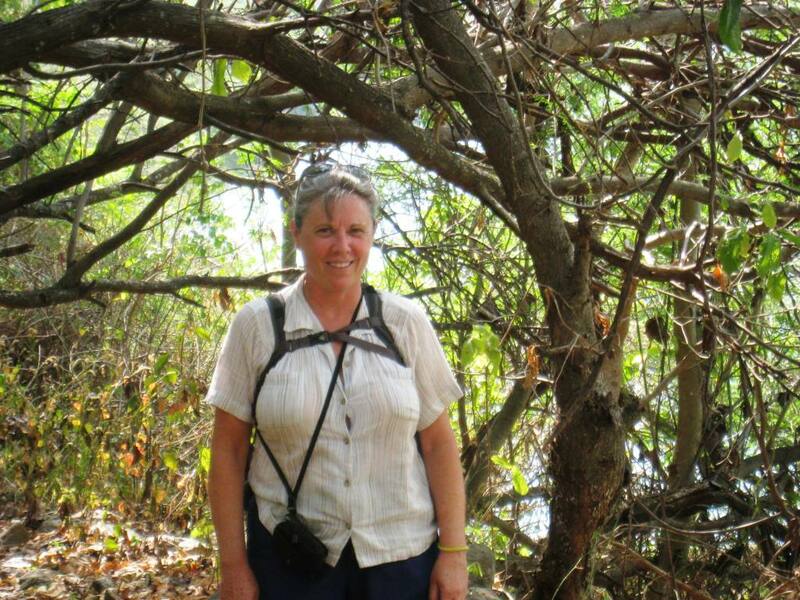 We are learning a lot about the forests of Laguna de Apoyo Nature Reserve. At night, when other things are quiet, bats are busy and we are monitoring the bat populations in different areas in the forest. The past couple of years, we have counted on volunteers Lukas Betthauser and Florian Schmid to manage the bat study, among the more ambitious nature studies in Nicaragua. Here are some images from the bats we have seen in our monitoring program. Albino short-tailed fruit bat, Carollia perspicillata. Photo by Florian Schmid. An albino bat seems quite unlikely, given that most bats rely on stealth to catch their victim, or so we have been led to think. In fact, many bats enjoy the good life, consuming fruits and nectar and other things that don't run away when forewarned. The short-tailed fruit bat (also known as Seba's short-tailed bat) is one of those, and it only makes sense that an albino could survive in this species. The light color of this albino would alert predators to his presence, but would not affect his own prey, as the name suggests. Perhaps this albino guy was a little less lucky with the insects, but the 50-100 species of fruit, pollen and nectar would not have avoided him. The roles in nature filled by bats may be quite diverse. 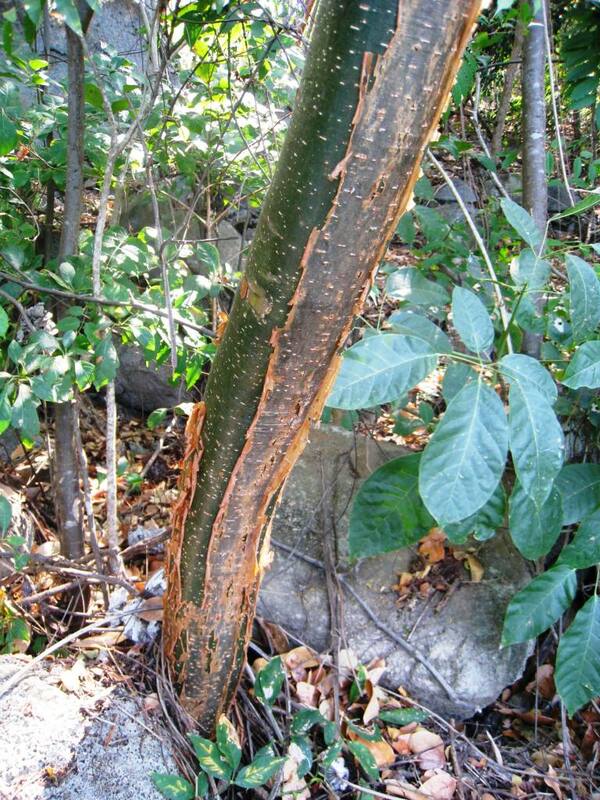 They may disperse fruit, pollenate plants, and control populations of small animals. Some bats eat fish, others eat birds and other bats. There are dozens of species in Laguna de Apoyo Nature Reserve and they help sustain the populations of many other species groups. It's not easy to batwatch, but if you accompany our monitoring team, you will see the bats up close and personal. They are some of the more enignmatic animals of the forest, and suprisingly charismatic when seen from near. By mist netting in different parts of the reserve, we are gathering information on the habitat use by the bats. We can see strong distinctions in the bat communities according to the way humans impact the forest. Bat communities in the deep forest, far from houses and deforestation, are considerably different than in other places. Short-tailed fruit bat is being held by Florian. Photo by Jayne Richards. Florian and a volunteer measure several parts of a bat. Photo by Jayne Richards. Florian extracts a bat from the mist net. Photo by Jayne Richards. Each bat in the study is measured before being released into the wild again. Photo by Jeffrey McCrary. This is the first orange-throated bat (Lampronycteris brachyotis) captured in our studies in Laguna de Apoyo Nature Reserve. Photo by Jayne Richards. In our research on bats, we are hoping to determine how bats and humans interact. For instance, we want to know whether the bat populations differ according to the land use patterns in different parts of the Laguna de Apoyo Nature Reserve. For instance, some bats, such at the orange-throated bat, have only been found in the deepest forest. The bats we have recorded here are in the following list. 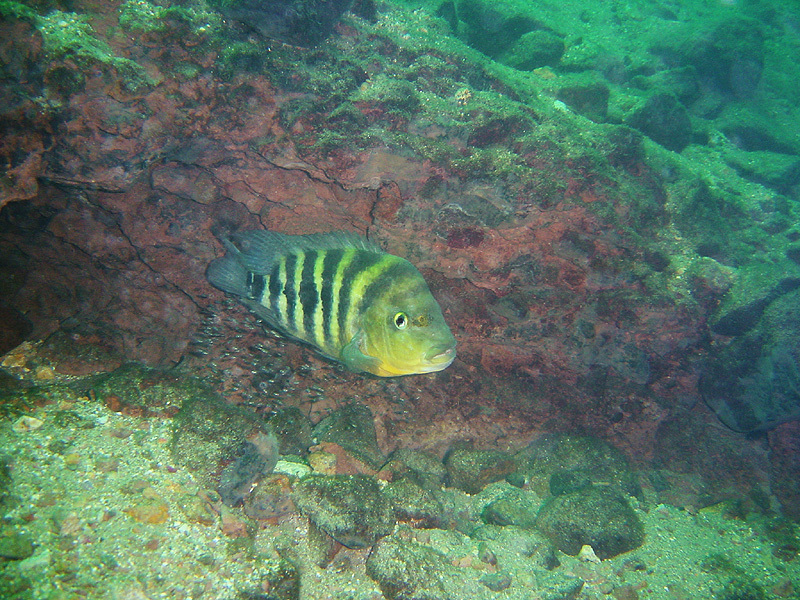 The Midas cichlid, Amphilophus citrinellus, was once thought to extend throughout the entirety of the San Juan River basin, including throughout both the Nicaraguan Great Lakes and many volcanic crater lakes along their western shores, habitat that only includes the southern half of Nicaragua and the northern half of Costa Rica. Thanks to work published by our research group in the past several years, two crater lakes are known to have multiple species, each endemic to its respective lake. More recently we have studied chromosomal and mitochondrial DNA profiles among the Midas cichlid forms found throughout much of its range, in which we found that each volcanic crater lake has its own group of species, suggesting dozens of species among this group yet to be discovered. Matthias Geiger, Jeffrey McCrary and Uli Schliewen demonstrated and interpreted the DNA profiles in "Not a simple case – A ﬁrst comprehensive phylogenetic hypothesis for the Midas cichlid complex in Nicaragua (Teleostei: Cichlidae: Amphilophus)" in Molecular Phylogenetics and Evolution. This article confirms our suspicion, that the Midas cichlid species complex consists of dozens of species not yet discovered, in addition to the eleven currently recognized species. Each isolated stock of Midas cichlids, particularly those in volcanic crater lakes, formed its own species flock by sympatric speciation. The inhabitants of each lake are evolutionarily closer to each other, than to any of the Midas cichlids in any of the other bodies of water. Amphilophus astorquii pair with fry in Lake Apoyo, Nicaragua. Photo by Ad Konings. The implications of the publication mentioned above include that each lake harbors its own set of species in the Midas cichlid complex, and that those species are likely not shared among lakes. The ranges of each fish species are very limited, meaning threats to their populations can be very high. One species from this group, the arrow cichlid (Amphilophus zaliosus), has been classified as Critically Endangered on the IUCN Red List. By extrapolation, we can expect many species to be ranked as Endangered or Critically Endangered when their conservation status is finally evaluated. ﻿FUNDECI/GAIA works in several locations in Nicaragua, although our most intense activity is in Laguna de Apoyo Nature Reserve. We have conducted research on the fishes of Laguna de Xiloa, in Peninsula Chiltepe Nature Reserve, just northwest of Managua, for several years. 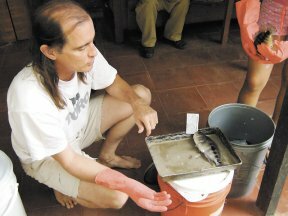 While discovering new fish species, we also recognized great human needs among the rural communities in the area of the reserve. A rapidly growing community on the edge of Lake Xiloa developed after Hurrican Mitch, its children without basic services like a school. We worked together with the local community and the Municipality of Mateare to identify and prioritize needs in the area, and the consensus was that basic education was the greatest unmet need. 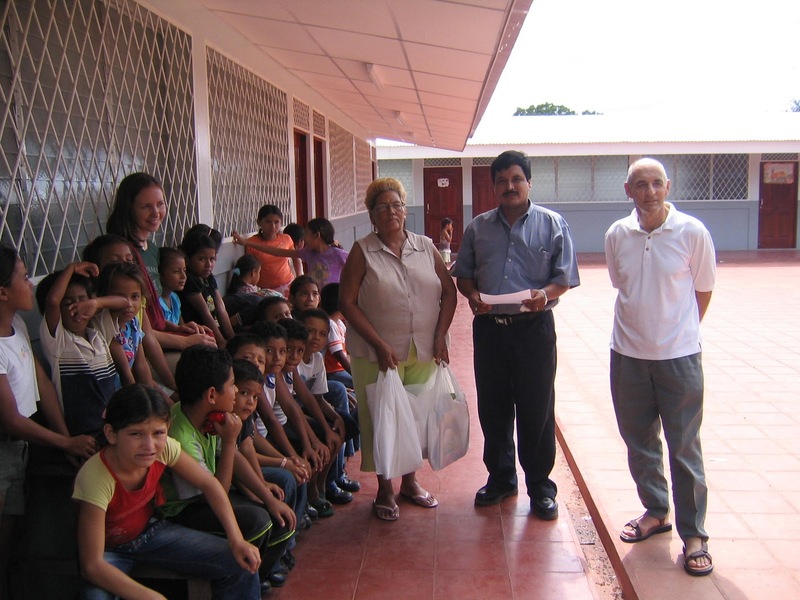 We applied for and obtained funding from the Japanese Embassy in Nicaragua to finance the construction of a six room school, and later obtained financing for a small school library as well. This work required identifying a location to build a school, work with an attorney and the municipality of Mateare to declare the property public domain, have the property registered as state property in the national land registry, and then have the land title passed to the Ministry of Education. Meanwhile, we hired a construction company and supervised its daily activities six months while the buildings went up, and we coordinated between the Japanese Embassy, the Municipality of Mateare, the Ministry of Education, the local community and the buildor all the relevant activities. The school was inaugurated in December, 2006, with the Minister of Education and the Japanese Ambassador present for the ribbon-cutting ceremony. The resulting Escuela Heroes y Martires de Xiloa was made a dream come true for the impoverished, rural community of the edge of Lake Xiloa and surrounding farms. We named the school in memory of the victims of a terrible massacre conducted by the Nicaraguan Guardia Nacional during the Somoza dictatorship. Most of the children come from illiterate, indigent parents, many of whom moved into a makeshift settlement in the aftermath of Hurricane Mitch. 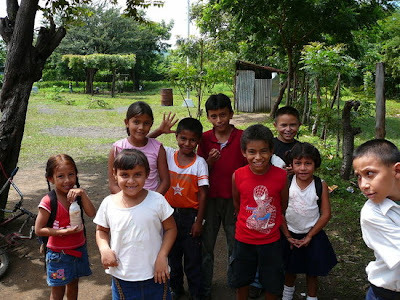 These children now have, for the first time, a safe, clean structure to attend school, and the teachers and school lunches now provided by the Nicaraguan Ministry of Education ensure that more elements of the basic necessities of these children are met to ensure they have a chance at a happy, fulfilled life. Here, we share some images from a recent visit to the school by students of Apoyo Spanish School. This demonstrates how we consider our commitment to the Nicaraguan people. These children today have a brand new, well-equipped school, thanks to FUNDECI/GAIA, and assured nutrition thanks to the school lunch program the Ministry of Education has begun there. Photo by Belen Camino Martin. 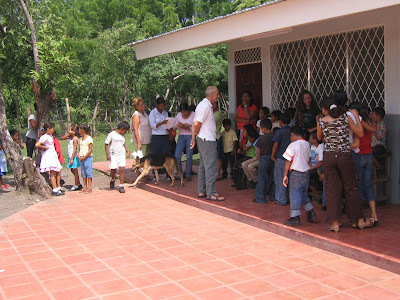 This school benefits the children of Laguna de Xiloa and surrounding areas, among the poorest sites in Managua department. Photo by Belen Camino. Our work on rural development at FUNDECI/GAIA helps us make better run rural communities with happier members who are more likely to participate in and value our nature conservation activities. Children from the Escuela Heroes y Martires de Xiloa chat with students from Apoyo Spanish School. Photo by Belen Camino. The school director and the president of the local community organization meet with students of the Escuela Heroes y Martires de Xiloa and of Apoyo Spanish School. Photo by Belen Camino. The rural area around Escuela Heroes y Martires de Xiloa includes Lake Xiloa, where several endemic fish species are found. Photo by Belen Camino. The children of Peninsula Chiltepe Nature Reserve now have a beautiful, safe school, thanks to the efforts of FUNDECI/GAIA and the local community and autorities. Photo by Belen Camino Martin. 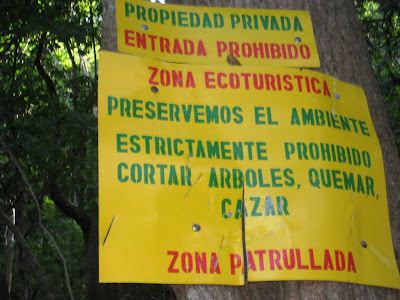 Conservation in protected areas in Nicaragua requires the involvement of the local population, which in turn requires resolving their basic needs. By assisting in the basic requirements of the local population, we have also been able to improve their organizational capacity, and their consciousness toward the natural resources in their midst. The protection of Lake Xiloa and its endemic fish must involve these people on the front lines.